Getting back to normal after the summer break does not need to be dull and boring. Although the summer season is coming to an end, it is still possible to find fresh ideas for the home, which not only enhance the decoration but can also make our day, even in the cold seasons such as autumn and winter. This decorative joy and vitality can furthermore be moved to the kitchen, where the equipment, flooring and wall tiles may become more lively and sophisticated, aiming at achieving a higher creativity when preparing the most delicious of dishes. 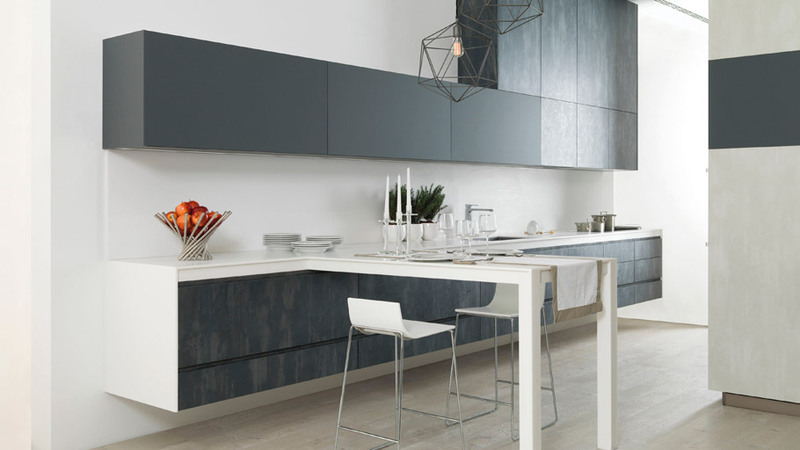 Colouring kitchen furniture turns out to be an ideal option when refreshing space visually. The atmosphere becomes fun filled, more creative and relaxing, thus, having greater influences on our mood from a positive point of view. Choose your favourite colour and be inspired by it, and at the same time, create a bright and cosy atmosphere. 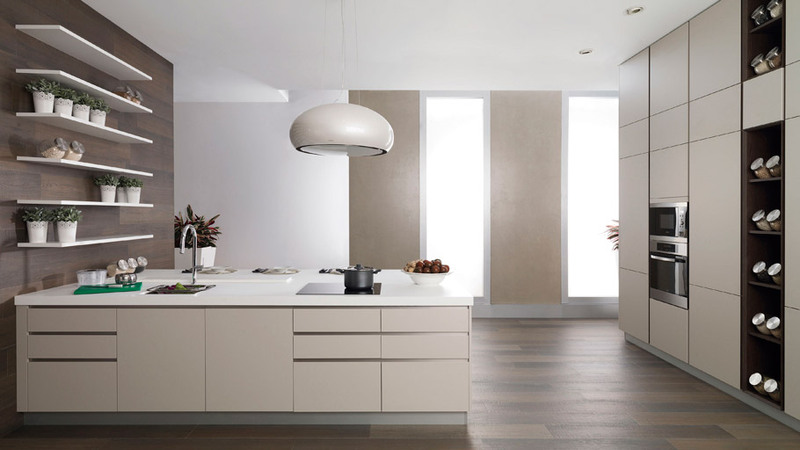 With the aim of following this trend of coloured kitchens, PORCELANOSA Grupo, by means of its firm, Gamadecor, offers a wide range of finishes and colours, which allow for the creation of a ‘custom-made’ kitchen. Ranging from a cobalt blue to an earthy red or lime green in both gloss and matt finishes. It is possible to choose the way in relation to how the desired colour is to be introduced into the space: by decorating a large part of the equipment or in precise points, creating a focus of attention in the room. 2. Details full of colour. A great deal of passion must be applied in the details through the introduction of coloured kitchen accessories. It is a quick, practical and simple idea, since we achieve making spaces brighter without carrying out any kind of refurbishment. 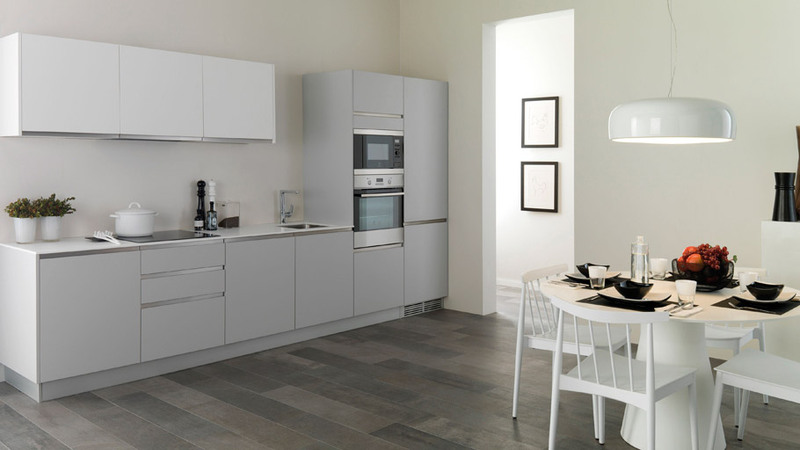 The introduction of small furniture, electrical appliances and even decorative accessories in a big array of tones, turns out to be a simple and economical way of adding colour and brightness, above all, regarding the white kitchens or those ones in light colours, where sobriety dominates. Although one can opt for the more inspiriting colour, a very dynamic alternative is to choose lively or pastel colours. They will enhance the space, as well as getting people’s attention. We can make the kitchen stand out by decorating the walls. It is not necessary to follow this practice in every part since this would result in badly done work, especially in small kitchens, but wallpaper is highly recommended for using as a decorative resource, a means in order to focus attention on a specific place in the kitchen: one of the walls, the backsplash, etc. 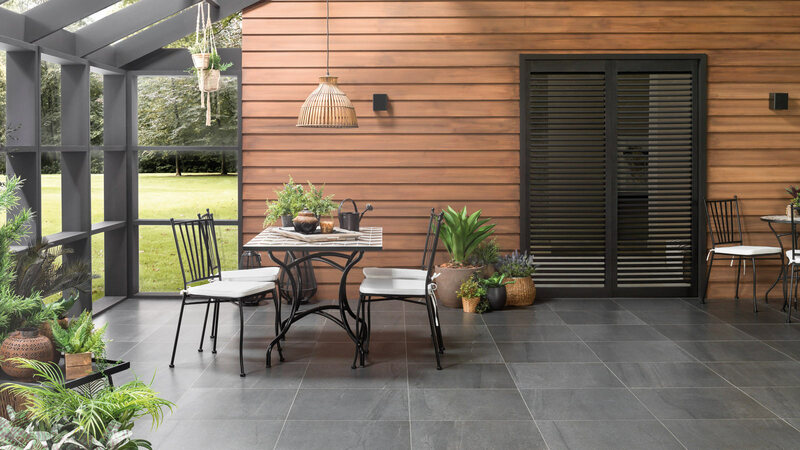 One of the other excellent alternatives is to install ceramic wall tiles in those areas to be highlighted, since not only would they provide different designs, but they would also provide its high quality and durability, as well as ensuring easy cleaning. 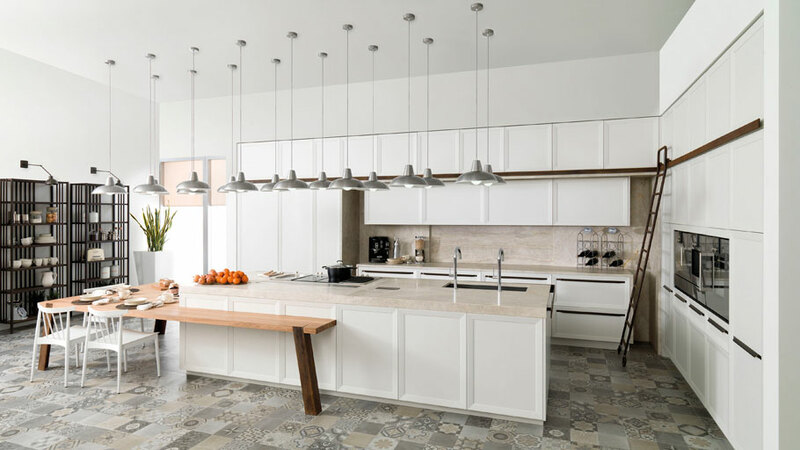 PORCELANOSA Grupo offers a wide selection of decorative wall tiles which can be used as backsplash and they simultaneously embellish the kitchen design. Decorative timeless tiles with floral tapestries, geometric compositions or models inspired by hydraulic tiles, which become the main attraction of the decoration. 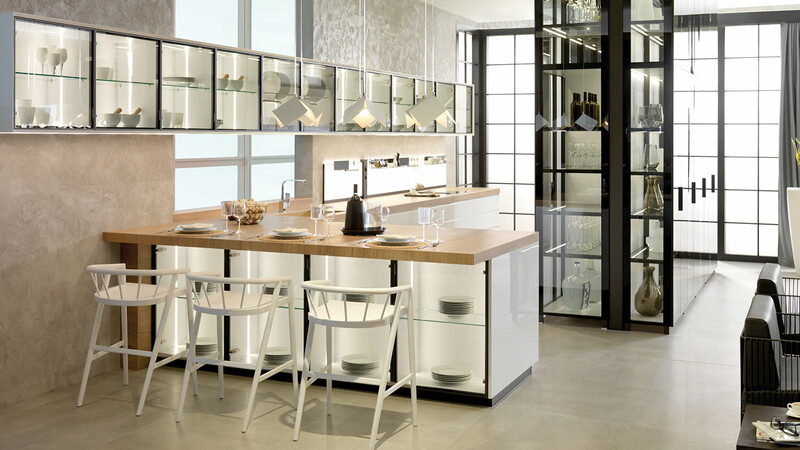 To give a maximum free reign to creativity in the kitchen, it is desirable to have a large work space. 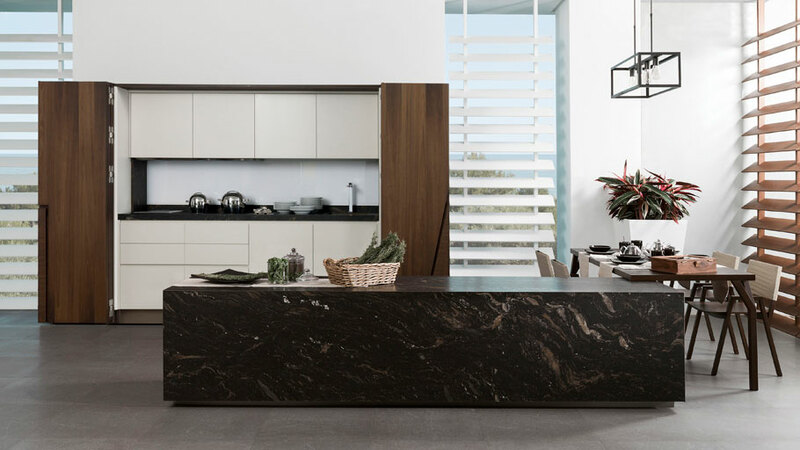 Therefore, it is better to bank on kitchen countertops, without giving a minimalist and contemporary design, that allows for both carefulness and practicality when preparing the most exquisite of recipes. 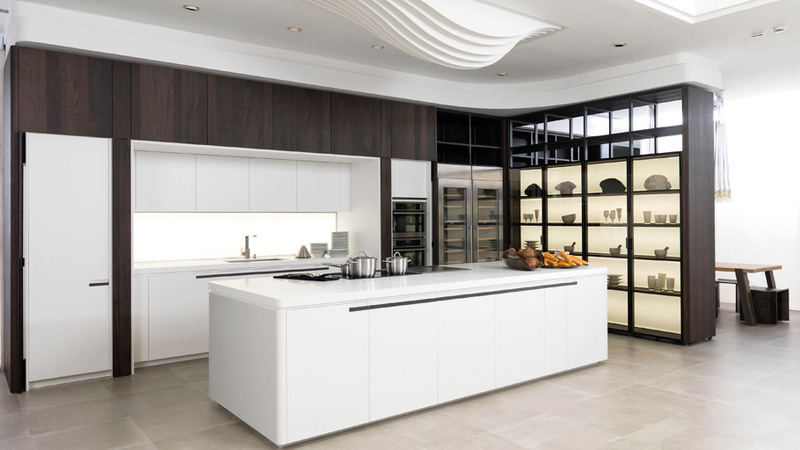 Gamadecor offers its equipment designs, both large and functional, in which it is firmly committed to both elegance and sophistication, also in the kitchen. 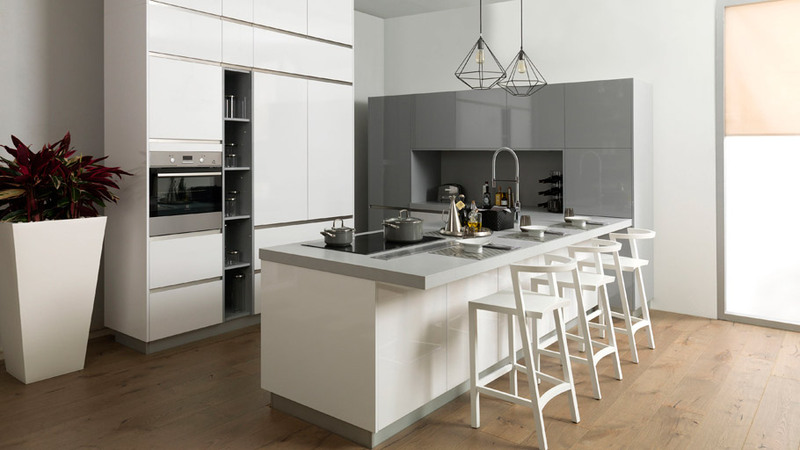 Furthermore, safety, durability and easy maintenance are opted for, through the integration of materials such as the KRION® Solid Surface compact mineral as countertop surfaces. 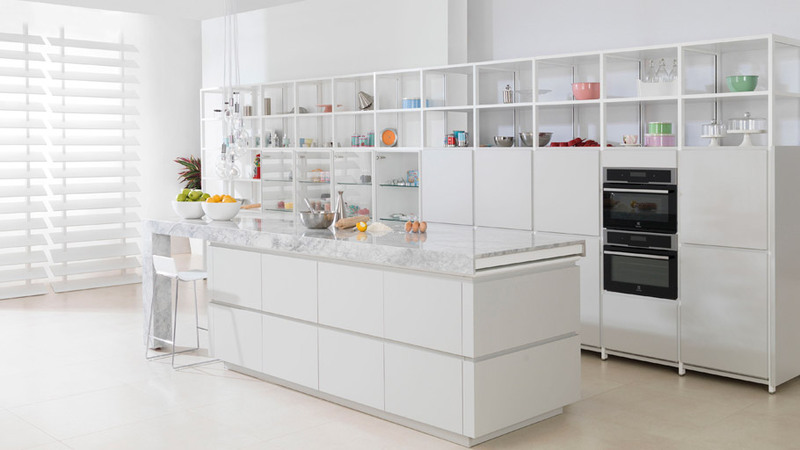 Storage is one of the other needs to be covered by a functional and highly-equipped kitchen. 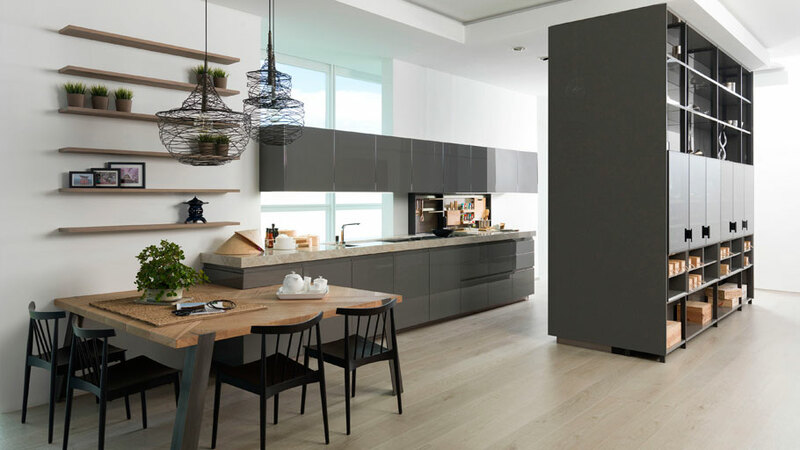 Nevertheless, trends nowadays look towards the setting up of kitchens which do not appear to be kitchens at all, with storage spaces and walls which may be hidden. 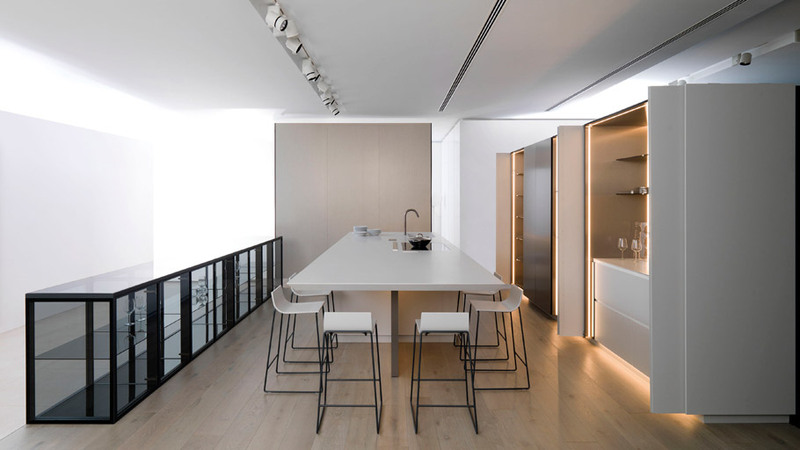 The kitchen by Quique Dacosta for Gamadecor, turns out to be an example of this modern kitchen design, with the possibility of offering hidden areas. Kitchen taps become contemporary by means of innovative designs and trendy tones. 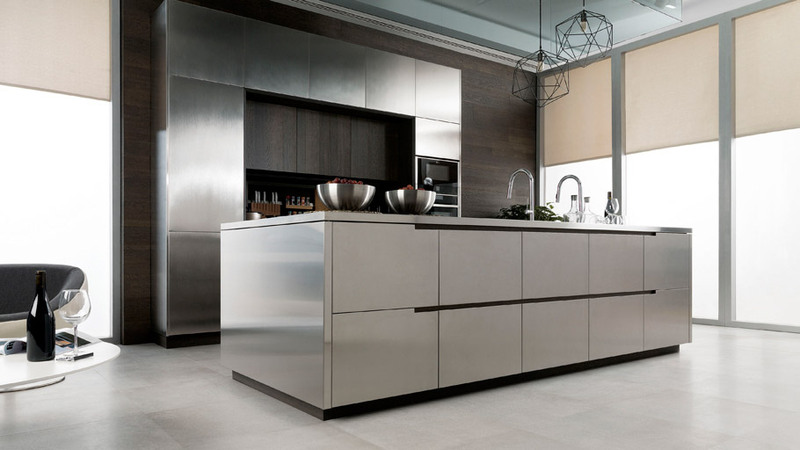 Gold, titanium, copper or rosé colours turn out to be luxury choices for distinctive unique kitchens, and furthermore, with a Premium touch. 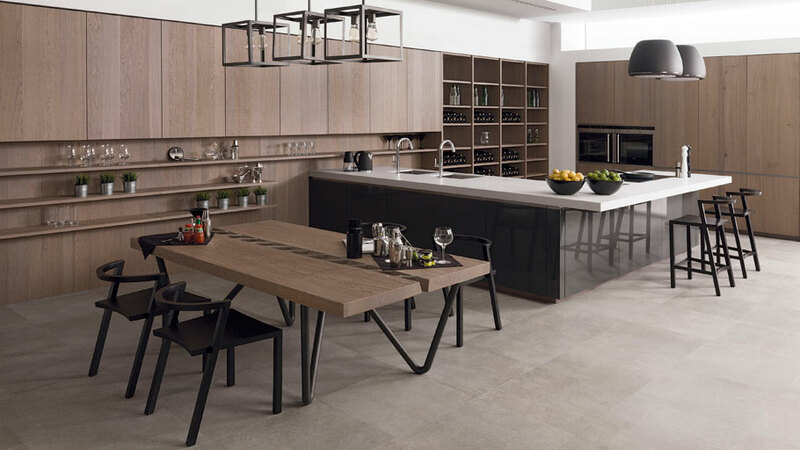 Noken offers, along with equipment, some important alternatives such as the NK Logic or Lounge collections, with that very same range of finishes. Setting up an office outdoors turns out to be an ideal option in case there is either a patio or terrace. By leaving visual barriers behind, we can extend the kitchen space to the exterior. By removing unnecessary items, we will get a much more spacious and bigger kitchen. 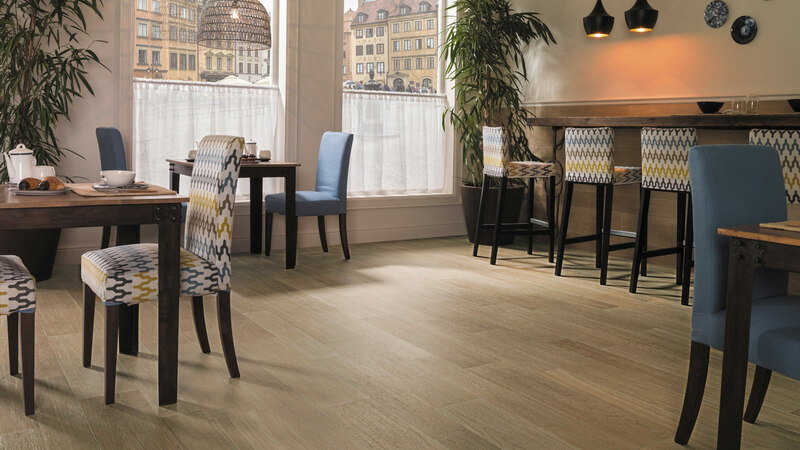 We can even enhance that space uniformity by making a choice of the same flooring for both areas. 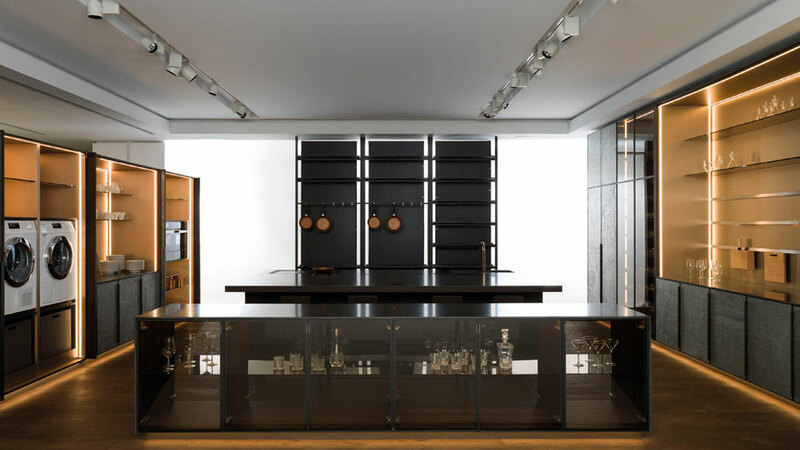 Apart from doing it with equipment or kitchen accessories, it is possible to opt for a big amount of alternative design through the lighting. 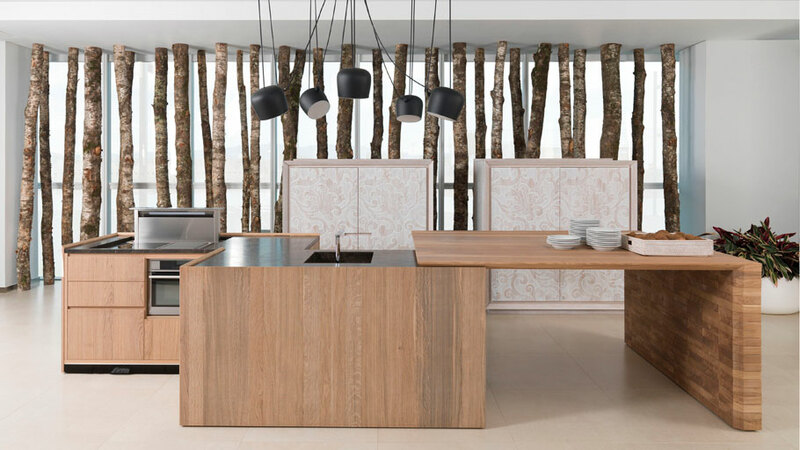 The lighting collection by Gamadecor more than meets that objective, by means of a daring commitment regarding lamp design, which provides the kitchen with not only brilliance and energy, but positivity as well.